For the second time in recent weeks, a dog was attacked by a PIT BULL Tuesday, though police say the two incidents are not related. 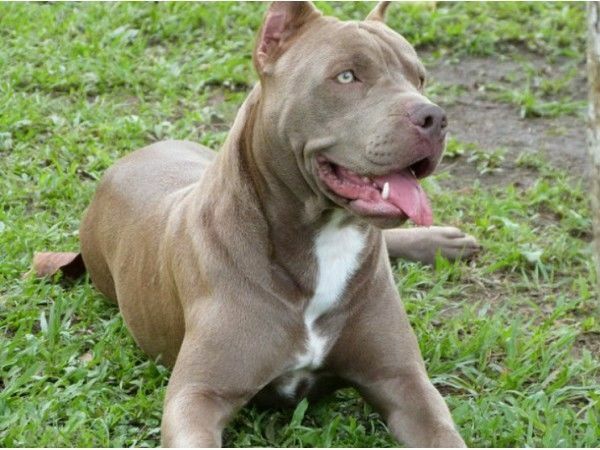 Police responded to Thomas Street and found a dog owner comforting a 7 1/2 year old dog, which had been bitten by a pit bull mix. A second owner from next door was holding onto a 2 year old white and tan pit bull mix. The pit bull owner told police he was at home on Reed Avenue and had let his dog outside in the fenced backyard. The dog saw a cat and gave chase, penetrating the fence. The dog then ran up to two people walking their dogs and began to attack one of the two dogs. The pit bull owner arrived and separated the dogs, and Windsor Locks police investigated and quarantined the pit bull, police said. Both dogs are registered and all owners were identified. In early May, a pit bull maimed a rat terrier on Spring Street, causing injuries severe enough to warrant euthanization of the dog. The pit bull involved in that incident has not been located, according to police. This is why pit bulls are so dangerous. Nutters should not let their pit bulls out, even in their own backyards, without a leash on. Pit bulls cannot be controlled nor contained. This is a simple fix with breed specific legislation. Nutters need to have specific rules to follow in order to keep their pit bulls from mauling innocent animals. Leashed dogs should not be targets. But nutters don't wanna have extra rules that keep everyone safe! BSL does not work! Nutters want to treat their dangerous animals as if they are normal dogs. When are we, as a society, going to develop the balls we need, to deal with dangerous dog breeds? Nutters have the upper-hand, and get away with everything from random dog attacks, to murder. Enough already!